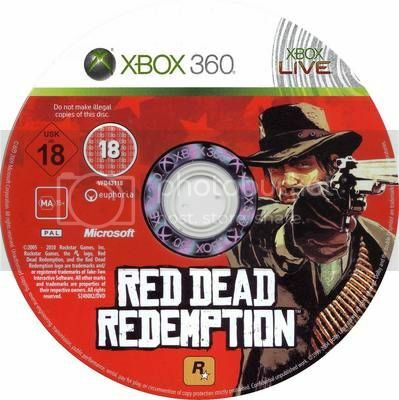 Here are the selected cheats and features I found on the net to bring more fun when playing Red Dead Redemption on your Xbox 360. Cheats Code : If you use cheats code you unable to save your games and earn achievements. Simply input the password to make the effect. Just use the codes for fun. Unlock All Gang Outfits, Password : YOU THINK YOU TOUGH, MISTER? Avatar Awards : You will received a message when avatar award has been unlocked. Go to the Customize Avatar menu and open up the Awards sub-menu. You will find unlocked items under the Red Dead Redemption header. These items can be worn by your Xbox 360 avatar. Red T-Shirt with Red Dead Redemption logo, unlocked by opening a chest in Riley’s Charge. Yellow Rockstar Logo T-Shirt, unlocked by opening the chest located in the attic of John Marston’s House. Lady’s Finest, unlocked by completing Rockstar Games Social Club “Skin It To Win It”. Sombrero, unlocked by shooting enemy’s hat off their head. Posse T-Shirt, unlocked when the multiplayer community reaches an unspecified amount of money in “The Strike It Rich!” Rockstar Challenge. Gentleman’s Attire, unlocked by completing Rockstar Games Social Club “Skin It To Win It”. Bulletproof (5), complete a co-op mission without dying. Well Done (5), complete a co-op mission. Friends Indeed (5), complete a co-op mission without anyone dying. Dodge This (10), achieve a kill chain at least 10 in any advance co-op mission. 2 Guys, 1 Coop (10), complete a co-op mission with 2 people only. You Rule! (15), complete all advanced co-op missions. Have Poose, Will Travel (15), complete all co-op missions. Stake a Claim (5), gold medal in any co-op mission. The Mother Iode (20), gold medal in all advanced co-op missions. Struck Gold (10), gold medal in all co-op missions. That’s all Red Dead Redemption cheats you can use on Xbox 360. This entry was posted in Cheats, Microsoft Xbox and tagged cheats for red dead redemption xbox 360, red dead redemption cheats, red dead redemption cheats xbox 360, red dead redemption xbox 360. Bookmark the permalink.